S.R. 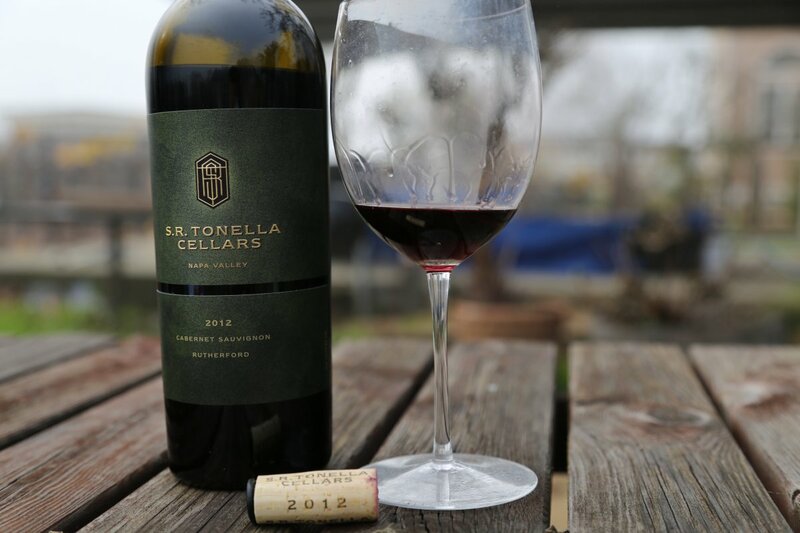 Tonella Cellars was founded by Napa native Steve Tonella and his wife Ariadna with a focus entirely on wines from Rutherford. Steve is fourth generation Napan – with his father, grandfather and great uncle all involved in the wine industry in some way – from growing grapes to making wine. Steve’s great Uncle came to the Napa Valley from Italy in the early 1900’s and was the first winemaker at Beaulieu Vineyards. Steve has built this label literally from the ground up. He manages a just under one-acre vineyard in the heart of the Rutherford Sub Appellation on land owned by his family. He grew up in Rutherford remembering when there were fewer vineyards planted here than there are today – pointing out where an old baseball field used to be and other land that wasn’t originally planted to vines. His vines are planted to two Bordeaux clones of Cabernet Sauvignon. 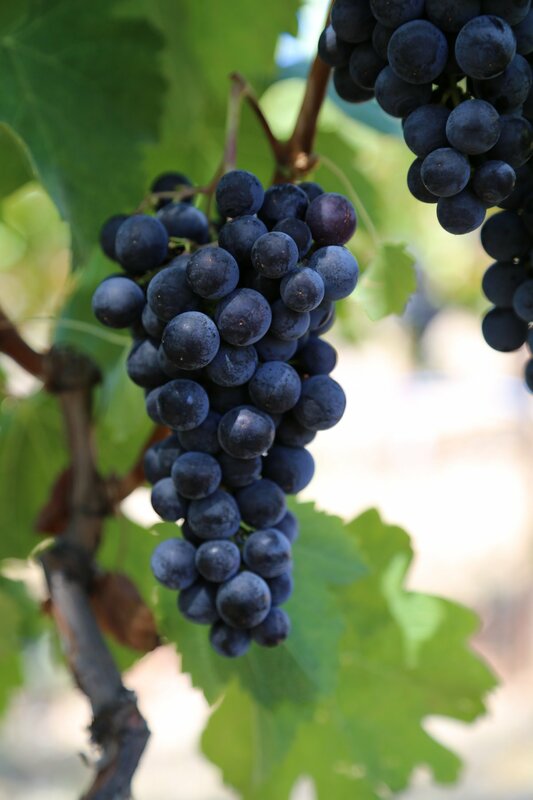 He chose these particular clones for a number of reasons including a high skin to juice ratio (small berries), clones that make a balanced wine and for fruit that generally produces well rounded tannins. Each vine in the vineyard was trained with a wooden stake – the vines are not trellised but rather are head pruned. This is a nod to an older way of growing grapes and his family’s heritage in the valley. Steve remembers at age six first helping out in his family’s vineyards – suckering or what today is referred to as “canopy management”. The soils here are gravelly loam and are well drained. Everything is very much done by hand in this vineyard – with nearly all of the work done by Steve. Due to the small size of the vineyard Steve only sources two tons or less each year. Fortunately one of his neighbors owns the well-regarded Morisoli Vineyard (a number of vintners purchase fruit form this vineyard each year – Steve included). There is plenty of thought and effort that goes into growing grapes, making the wine and selling it. Steve refers to this as the details of the business – but really enjoys what he calls the “Bookends of the Business” – referring to the two primary components of wine-making – his time spent in the vineyard managing the vines and his time spent in front of people selling his wine. He is blessed to be able to enjoy both aspects of the business. The first vintage of S.R. Tonella Cellars was a 2010 Cabernet Sauvignon. This wine is refreshingly under 14% alcohol and is blended with 6% Merlot. The nose is immediately inviting showing higher toned fruit aromas – red fruit, cherry and currant. The palate is lively with good flavor – showing some red licorice notes from the mid palate through to the finish. The wine has mouth watering acidity – noticeable on the finish with well integrated tannins – more fruit tannins than oak. This is a very balanced wine. The 2012 vintage is from the same vineyard sources and was essentially made the same as the 2010. There are some vintage variations that show both on the bouquet and palate – all the while taking into consideration that this wine is two years younger. It had only been bottled 6 months at the time of our tasting (and not yet released) – initially the bouquet was a bit closed but opened well as this wine had time to breath. It shows spicy and some earthy notes including white pepper – and then reveals both red and black fruit aromas tending more towards the black fruit profile. The tannins are dusty showing more influence of oak then the 2010. Both of these wines have very good ageability with good fruit, acidity and structure – but especially the 2010 vintage. Most of their wine is sold direct through their mailing list – but you can find the wine locally at several places in St. Helena – Sunshine Market and at Cook restaurant. Moving forward starting in 2014, Steve will release a 100% Rutherford Sauvignon blanc. It was, indeed, a pleasure meeting you, last night, at SFYC Vintner’s Night. Your 2014 Cabernet is exceptional! It stands up, in my opinion, equally, to Napa’s boutique wineries, already well established. Truly, I feel very confident your wines will not only be revered by your peers, more and more, but, in addition, be in great demand by those of us whose palates recognize “Bliss” when it touched our lips. I look forward to picking up my order of your Cabernet, I placed last night, at the SFYC and visiting your winery. Thank you very much. We hope you are enjoying the wine and please come and visit us soon. All the best. S. R. Tonella Cellars!